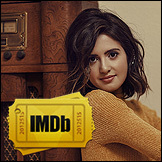 Laura Marano is known for sharing tons of fun tidbits of her life with her fans all thanks to social media, so when she reaches certain milestones, she can’t help but post it for her millions of loyal followers to see. This time around. 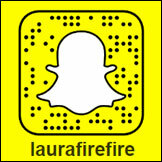 Laura revealed her totally unexpected hobby, and it’s all about babies. The “Boombox” singer took to Instagram to share the cutest photo where she’s cuddling up to the most adorable little guy. “Fun fact: holding babies is one of my favorite hobbies,” she wrote in the caption. Laura is full on heart-eyes emoji in that picture! And that’s not any baby she’s holding. While no, it’s not her own, it’s actually an iCarly baby. 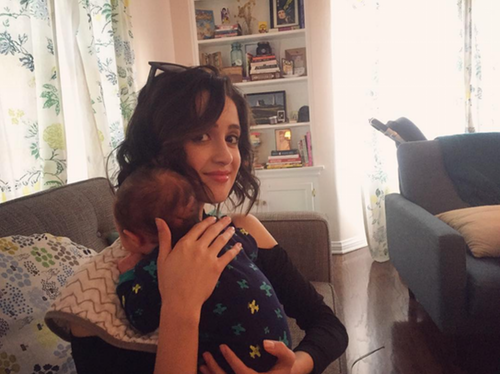 Laura is holding the newborn son of Danielle Morrow and Jeremy Rowley, better known for their roles as Nora and Lewbert on iCarly. How sweet is that? Disney Channel and Nickelodeon stars hanging out together is always welcomed. Danielle and Jeremy have been together for quite some time now and if there’s anyone who knows a thing or two about being shipped with her co-star, it’s Laura. On Austin & Ally, her character and Ross Lynch‘s ended up becoming a successful musical duo, they got married and had two kids who look just like them. Fans have always shipped Raura IRL and although Ross and Laura have never been anything more than the best of friends — Ross has been dating model and actress Courtney Eaton for a few years now — that doesn’t mean fans will ever give up hope. Austin Moon and Ally Dawson were the cutest together, so it’s only natural for fans to want to see them as a real-life couple. Although it’s safe to say this won’t ever actually happen — sorry! — there are plenty of mega-adorable photos out there to keep shippers’ hearts filled. Take this one for instance, where Laura and Ross are holding a puppy together and it looks like they’re actually a family.